Doug Wilder, Bill Cosby and Satan | 30th Anniversary Issue | Style Weekly - Richmond, VA local news, arts, and events. Bill Cosby speaks at L. Douglas Wilder's inauguration as mayor. 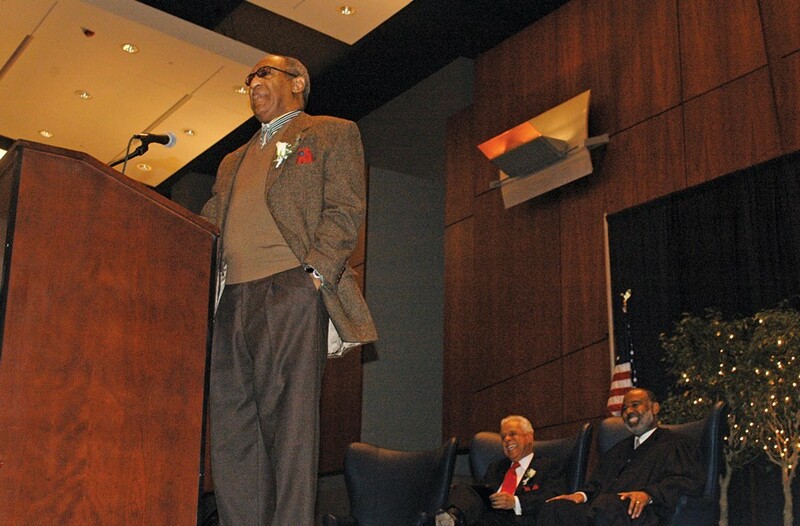 At Wilder's inauguration at the Greater Richmond Convention Center, Bill Cosby was the keynote speaker, and he joking referred to mayor's perceived obstacles at City Hall — namely, all city employees — as "devlish people." Then Cosby added, quite prophetically: "Don't be surprised when he fires the whole city." We must also point out then-City Councilman Bill Pantele's bit of foreshadowing in our "Wilder Versus Satan" story: "I think things are going to work much more smoothly than some people have been led to believe." Not exactly.